ZipBooks has the features you need to keep track of all your projects. Create a new project and add details like the budget you're working with, and any team members who are assigned to the project. Generate tasks and assign them to existing projects so that everything you do is documented and detailed. 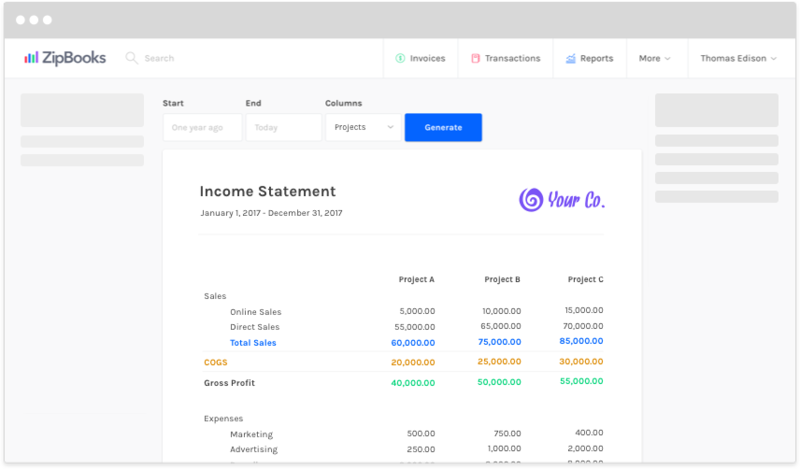 When you record expenses, payments, and other transactions, you have the flexibility of categorizing and tagging them with a certain project name so that the info within each project is accurate and complete. Make sure you're not working for free by tracking time for all employees working on a certain project or task. ZipBooks will automatically import your time to a designated invoice, so that you get paid for every minute spent.